We love and choose the best products available for our clients! Below are the lines we carry and believe in. Innersense is an independent, eco- and health-conscious company located in California. Innersense is formulated to meet the purity demands of the rapidly growing new generation of savvy, organic consumers-label readers, not swayed by the marketing spin or wordsmithing. You have the right to remain curly with Jessicurl! 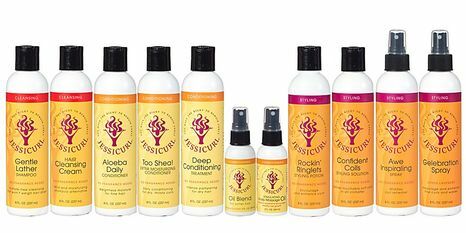 Known for its soft hold and amazing definition, Jessicurl avoids ingredients that are too harsh for curly hair. DevaCurl is a leader in salon-professional products that are specific for curls and waves. features rich, crambe abyssinica seed oil. This conditioner will stimulate your scalp with a naturally cooling sensation. It will strengthen your hair and reduce breakage & fall out. This product leaves your hair incredibly shiny, clean, and soft. It's also amazing for detangling and keeping your dyes from fading.